With FIU getting #72 overall prospect Lency Delgado just recently, FIU jumped up to the #5 recruiting rankings. Keep it up Merv! I know I am getting waaaaay ahead of myself, but wait until class of 2021. It may be even better than our class of 2017. We currently have 5 of the top 50 and 8 of the top 100 national prospects, highlighted by our own, Jayden Melendez currently #17. Just something to look forward to down the road. Head Coach Mervyl Melendez and his staff made their presence felt upon taking over the program last year, netting the top-ranked 2017 class at the signing deadline, and while that group didn’t make it to campus intact, the Panthers still landed some cornerstone pieces. With a full year under their belts now, the FIU coaching staff is focused immediately on the 2018 season but also has their sights set on the future with another top-notch class that offers a little bit of everything. Should the top of the class remain together through the 2018 draft process, the Panthers may have one of the more dynamic and athletic infields in all of college baseball with the trio of Raynel Delgado, Kevin Vargas and recently added Lency Delgado. All three are ranked as top 100 prospects and are also listed as primary shortstops, but possess the versatility to move around the dirt. Add in fast-twitch second baseman Jarrett Ford and his bat-to-ball skills, as well as John Rodriguez and his athleticism and defensive polish, and it’s certainly a potentially potent group looking forward. Raynel Delgado, a switch-hitter, enjoyed a nice summer on the circuit, capturing gold with Team USA showing legitimate skills from either side of the plate with quick hands and 6.7 speed. A Perfect Game All-American, Vargas continues with the staff’s trend of committing the top talent out of Puerto Rico and is in fact one of four players from the island to commit to the Panthers for 2018. Vargas possesses a cannon at shortstop that would easily play at third base, and his foot speed (6.56 60-yard) is too big to pass up. Add in the 6-foot-3, 210-pound Lency Delgado, who the Panthers just added, and you begin to see just how talented this trio is given Delgado’s overall athleticism and strength as well as projection in tools. FIU’s ability to land the top prospects from Puerto Rico was a key factor in securing the top class last year, with six players coming from the island, including three ranked in the top 100. Vargas is the lone player in the top 100 this year though ultra-projectable outfielder Manny Gonzalez and quick-armed righthander Yeankarlos Lleras, who has been up to 94 mph, are ranked in the top 150. Speaking of projection, 6-foot-6, 165-pound lefthander Kenneth Fulch certainly fits that description and the fact that he’s already been up to 89 mph speaks to his arm quickness, giving scouts plenty of reason to follow him this spring. Both Angel Tiburcio, listed as a primary first baseman, and lefthander Christopher Williams offer the Panthers two-way potential. Physically built, Tiburcio has as much power as any player in this FIU class but has also been up to 92 mph with a tight slider while Williams has been up to 91 mph from the left side and shows solid athleticism and fluidity to his swing path. Righthander Franco Aleman offers nearly every component you’re looking for as he has the size at 6-foot-6, 215-pounds, is young for the grade and produces a quality arsenal (up to 94 mph) with relative ease and a clean delivery. That gives him the potential as a weekend starter and is certainly an arm Melendez hopes to get on campus. Keep an eye on fellow righthander Juan J. Teixeria who came out this fall showing an uptick in velocity at the WWBA World Championship, bumping 94 mph after topping out at 90 mph at the PG National Showcase in mid-June. Thanks, Yandro for this review from Perfect Game. Two consecutive top 5 (pre-draft) recruiting classes for Coach Melendez bodes well for the future of FIU Baseball. Of course this class will lose several of our top ranked players, but still another deep and complete class. Way to go, Panthers! Congrats to Coach Melendez and his staff, especially Coach Goodwin who is the recruiting coordinator. I love the recruiting. I hope we can keep it up. My only worry with so many high rated recruits is they mostly get drafted by the mlb early. We end up only keeping a handful. I wish these kids played college ball at least a year or two before going pro. For the second consecutive year FIU locked down another nationally-ranked college baseball signing class. With 11 signees in tow, the Panthers inked the No. 5 signing class in the nation according to Perfect Game. Included in the class are four of the Top 100 players in the nation. Four SEC teams occupied the top four spots with Vanderbilt signing the No. 1 class in the nation. Only Florida had a higher ranked class than FIU in the Sunshine State. The Gators were ranked No. 4. Like they did with their No. 1 2017 signing class, the Panthers signings covered a variety of positions and as usual pitching. 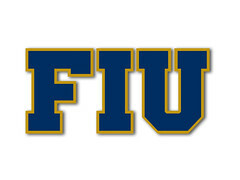 "This class addresses all of our needs for next year's team," FIU coach Mervyl Melendez said. "It contains power arms, skill players, speed, and power. As it is evident with being ranked a top 5 recruiting class nationally for the second consecutive year, our staff has identified the best players that not only will help us win ball games but will make an impact in our community. These players will be excellent roles models on and off the field." Wow, just wow, Mervyl is an amazing recruiter. Again, hopefully we can keep many of these great players. I hate that great platers get drafted to the MLB and skip college all together.